After deciding to go forwards with getting my dissertation published as an academic journal, my research led me to Reinvention: an International Journal of Undergraduate Research who are an online peer-reviewed journal hosted by the University of Warwick and Oxford Brookes University. Correspondence with my the I.R.P module leader Nichola also pointed me in the direction of JAWS: Journal of Arts Writing by Students however unfortunately they only accept submissions of postgraduate work and so I will aim to submit my dissertation to JAWS after I graduate. In the meantime, I’ll be exploring a little further into the Reinvention Journal and arranging a meeting with Nichola after my final two modules are submitted, to discuss getting my work ready for the submission to publication. 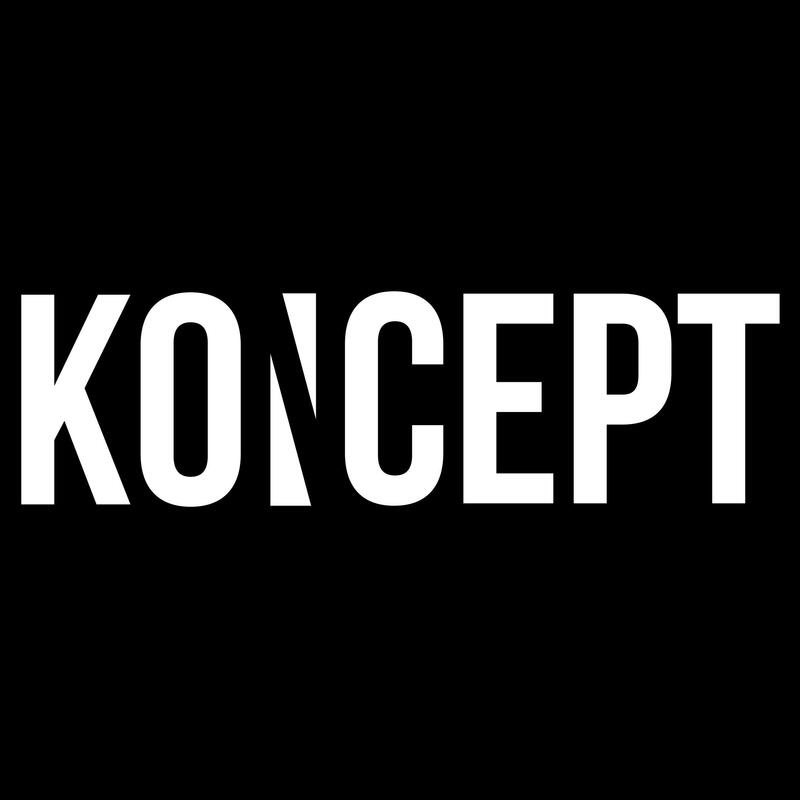 Koncept are an award winning Manchester based interior design firm proudly responsible for the creations of numerous commercial designs. The company prides itself on their “enviable track-record for hotel design for top hotel brands”. Koncept also work closely alongside Leach Rhodes Walker Architects. This week I sat down with Simon Dickinson of Koncept interior design to discuss his work at the firm. Talith: Hi Simon, thanks for meeting with me. To start with, how did you get into interior design? Simon: I started off as an office junior in the practice, through a family connection who is a contract inspector, with the expectation of potentially pursuing a career in architectural technology by studying at university part time whilst still working for the company. My office junior job consisted of printing, filling printers, emptying bins, making tea and coffee for the staff etc. One of the directors of the interiors team approached me as I’d shown interest in wanting to join that team, as I became interested in the creative side rather than the technical side of design. He asked if I’d like to do some CAD work with the team, and from that point I moved into that team, was given more and more responsibility and have been developing from there ever since. Talith: Can you describe a day in the life at Koncept? Simon: It all depends on the day. I usually sit down, make a brew, if it’s a Monday ask my colleagues how their weekends were. I check my emails at home so I chase up anything that happened the night before, any updates etc and then get started on the drawing work or whatever type of work is needed for that day. I balance the work accordingly throughout the day. Talith: What software do you use? Simon: CAD, for visuals Photoshop or Sketch Up, InDesign and Excel are the only programmes we use. Talith: Since you didn’t study interior design at university or have much prior knowledge to it, were you self taught on these programmes? Simon: Yeah I taught myself. I had knowledge of Adobe Photoshop already from studying photography, and CAD was pretty simple to learn. We only do 2D CAD, unless we do isometrics. The learning process is gradual, you’re always learning new things, but it took roughly a couple of weeks to learn the basics. Whilst I was an office junior, I was working with a senior project director who helped me with CAD and showed me basic stuff. As soon as you’ve got the commands right and you know how to build the drawing, you’re good to go. Some of the most important things are layer discipline and line weights, as well as scales. For example, let’s say you’re looking at text size for a 1:20 drawing on an A1 sheet, if you have a detail that is 1:1 within that drawing then you need to make sure all the text size is the same, the line weights are going to work and all the hatches are on the right layer. So making sure that everything is accurate takes up the most time because this avoids problems in say a months time when you realise you need to remove a certain layer, or you need to get rid of a certain thing. That was the biggest thing to learn; having the discipline as you draw to work on layers and line weights. Oh and naming the layers properly! As there’s a set code for how to name a layer, the British Standard way of layering tells you what the line weight is, what feature it is i.e. pipe work or a soil vent, then that will have its own layer. That’s really useful for when you’re cross referencing with other people’s drawings as it means that everyone is singing from the same hymn sheet and it makes life a lot easier. Talith: What has been your favourite project to date? Simon: Hmm, there’s probably two. Either a Novotel we worked on next to Heathrow as this was a big, grand job. It was due to be Novotel’s flagship hotel for airports, so it was a big thing for Novotel. A lot of thought and teamwork went into it, plus a lot of drawings. There were loads of detailed floor drawings included. I remember we had to do tiling on a radius around a corner that was really difficult setting out as each individual tile needed its own individual space, certain distance etc. Now that it’s done it looks amazing, it was good fun to work on. The second one is a really interesting hotel in Blackpool, a Best Western. We had to work on DDA bedrooms and it was kind of a solo project for me which was nice to be so hands on with it, in contact with the contractors myself and basically be able to call the shots, which isn’t something I have been able to do in other projects yet as we typically work on such big projects that it’s always spread across the more senior designers, whereas a smaller project like that is quite nice to be able to make my own decisions without approval from others. Talith: What skills did you require when you applied for the job? Simon: I think anyone can become an office junior, it’s just about showing aptitude and being pragmatic. My root into it is uncommon though, everyone I work with has a degree in interior design or architecture, so I’m quite lucky to be part of the company. I showed the right enthusiasm to get involved with the interior design side of the business, but my fast learning abilities definitely helped. A lot of the work we do is implementation based, so it’s not always about the concept behind the design or the narrative and reasoning for the creation of the design, but it’s more technical and practical. In some cases we have had other people’s designs which we have had to implement. The concept for the design has been someone else’s, but we have been commissioned to take that design, fit it to the space and make it work. Once it’s on site and a problem is faced, such as services being put in the wrong place, it takes a technical mind to be able to say ‘this is how we should do it’, which I think I have. Talith: Is there a current design trend in what clients are asking for? Simon: It depends on the job. Offices are really into the whole Google vibe of open spaces with quiet areas to work, bright colour schemes, modern furniture, big communal areas, more collaboration space than individual working areas. With hotels, obviously there’s this whole kind of rustic and exposed industrial trend. Reclaimed timber, concrete effect, quite gritty and leaving services exposed as opposed to concealing them with a suspended ceiling or something. I’d say those are the biggest trends at the moment. Although it does depend on the scheme and client to client, some places still want that traditional feel with darker colours for comfort and cosiness. Talith: How about the future of interiors, do you guys have your finger on the pulse with what is set to be the biggest trends? Simon: Yeah, that’s it! BCFA (British Contract Furnishing Association) dinners too, networking events, exploring different types of furniture and products and then suppliers come to our office and show us their latest stuff. So we do try and stay on trend as much as we can, the design shows are the best way of doing this to catch up and coming trends. A couple of years ago we went to these design shows and crushed velvet seemed to be everywhere. Now you see plenty of crushed velvet used in new schemes, like bar stools that were once being made from faux leather are now being made from synthetic crushed velvet. Good question. 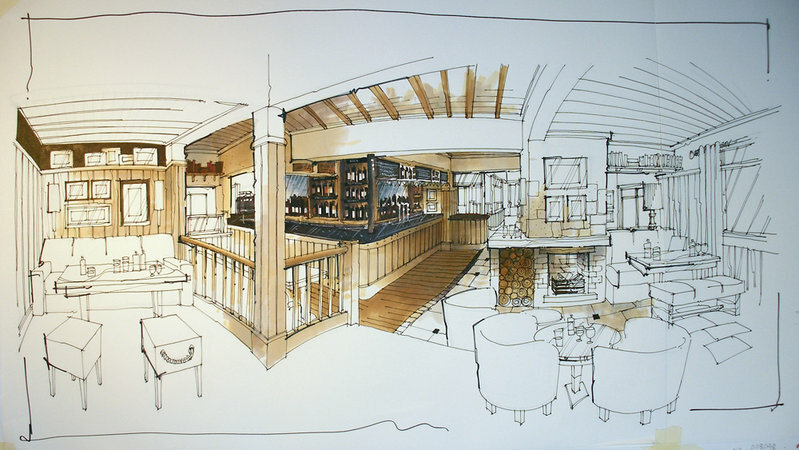 Talith: How important is free hand drawing and sketching in your line of work? Simon: For concepts it’s useful. Being able to do a quick sketch with some colour is advantageous, but everyone has the ability to use software too. It’s quite a brief way of expressing the scheme and your intent. You can give an idea of finishes without going to the extent of doing a full visual. Using the iPad for perspective drawings with vanishing points is handy too. If you need to show a detail and you need a bit of help with it, or you’re not too sure how it’s going to work, you need to be able to go and ask the person next to you what they think of it, so being able to just sketch it out and show where things could go is quiet useful. I’d say everything is more digitally inclined though. Talith: Favourite part about your job? Simon: Ooh. I have three favourites. Seeing a project finished after working on it for a while and hearing good things about it is exciting. The construction process and discussing work with the contractor, especially when what you’ve drawn is approved instantly with no problems or alterations needed, that’s really satisfying because it means you’ve done a good drawing and provided all of the information they need and they can start building it. Being able to convert an idea on a piece of paper into something physical is quite cool. Last but not least is doing a good joinery detail, so designing furniture items; bars, banquet tables, etc. Talith: Is there a lot of furniture design involved? Simon: Absolutely. Every job we work on has bespoke joinery in it. We don’t design a new chair for example, as there’s plenty of options out there, unless it’s really unique. But in terms of designing if bars, big tables, big fixed pieces of furniture are required then we do need to do it ourselves. An understanding of how it’s going to be built, an awareness of materials and a thought into the practicality of the piece. My favourite part of it is actually thinking about how it’s going to work and be put together – I’m very much a construction minded person. I think it’s important to remember that interior design isn’t just about colour schemes and furnishings. You wouldn’t have all the pretty aesthetics without someone thinking about all of the other stuff, and I like thinking about that other stuff. I have come up with the following concepts for my degree show in June. I created the mood board on Adobe InDesign to compile ideas I have for how I want my assigned area to look and more importantly, how I want to portray myself as an artist and designer. I will use the illustrative hand drawn lines/scribbles as a border along the bottom of the boards to show my favoured method of communicating visuals. I searched for a while to find a suitable font that will display my name whilst communicating my brand accurately, and settled on this handwriting style. I sought permission from the owner after finding it online, and downloaded the font alphabet. As I have an unusual name, I like to play on this across my work. From experience, people typically remember my name as it’s fairly unique and so by using my name as much as possible throughout my work, it becomes a recognisable brand. The font also helps with this as the delicate handwriting style is a reminder of my hand-drawn work. My website features this font throughout the site for similar reasons. My CV also features my name in big, bold, bright pink letters to have a similar effect, but to a more professional standard as I understand fonts and colour choices say a lot about a person or business. I hope to display my NMP booklet and a bound copy of my dissertation in my show. The NMP booklet gives a clear introduction to the model and other work relating to NMP that will be on display. I have chosen Blurb to print a landscape copy of the booklet. I also believe the topic of my dissertation, Emotional Design, encapsulates what my work is all about and who I am too as a designer and artist. I chose a fairly casual magazine style holder in my mood board to give people the option of reading them, rather than displaying them as part of the main exhibition, which may look a little too proud and forceful! To feature some of my work, I have considered methods of hanging. Whilst an aesthetically pleasing and clean way of displaying work, the notion of art in suspension has been a recurring theme throughout my time as university. I have referred to, and used, this method in many modules in Levels 4, 5 and 6. I also recall a conversation with Andrew in Level 4 about my future degree show in Level 6 and how he could imagine it being artistic and, in reference to the module I was doing at the time involving art in suspension (3D Design Practices and Procedures 15-16) , how he thought it would feature my work being hung and so I think it could be nice to refer back to this idea. I have kept my Wix site fairly simple and clean aesthetically as I think over powering and busy sites can look chaotic and unprofessional. I have been working on a photograph that highlights who I am as an artist and designer. I took this photograph of myself, using my camera and a borrowed tripod. I edited the photo in Photoshop using Layers and the quick selection tool to change all but the flowers to black and white. Featured on my homepage, this image gives my website a feminine touch whilst also drawing attention to my favoured artistry being illustration. My Wix site was left untouched for the best part of a year whilst I lost interest in it due to its layout. I updated my layout and added pages this year. Comparing the two, I can now see the progression in website maturity/professionalism, and continuity in sticking to a colour scheme and font type. There is a clear progression in my digital practice ability too, including the use of Wix.com, PhotoShop and my own dedication to finding and utilising a font that suits my brand. I have been continuing my focus on plants and flowers by creating patterns in Adobe Illustrator as inspiration for the decor of my Wellbeing centre for the NMP module. This above image shows some simple patterns created in a Brick by Row tile type with a 1/2 brick offset. The effect resembles a style often seen in wallpaper/packaging design. I’ve been studying natural forms and botanical shapes for furniture and decor inspiration for my Wellbeing centre, with focus on the shape of the counselling ‘pods’ in order to create a calm and soothing atmosphere. My research has been centred around circular shapes, plants and flowers. The importance of Biophilic design is paramount in promoting a harmonious environment to improve health and wellbeing for the centre’s visitors. I contacted R2 Architecture to obtain some clearer floor plans of Leaf on Portland street to work with for the NMP. I briefly explained the reason for my request and the university programme I am studying. I heard back within a few days from a man named Richard Eastwood from the firm who attached the ground floor and basement plans of Leaf and wished me the best with my project. Richard Chadwick is a Manchester-based interior designer and illustrator who works through the traditional medium of pen, ink and watercolour. Rather than using only digital images and computer software to portray his designs, Richard favours the traditional method of pen on paper to illustrate concepts. Richard’s work is personable and interesting. He uses colour thoughtfully and appropriately, whilst his technique and detail is perfected too. I aim to produce something of a similar style as the visuals for my NMP. 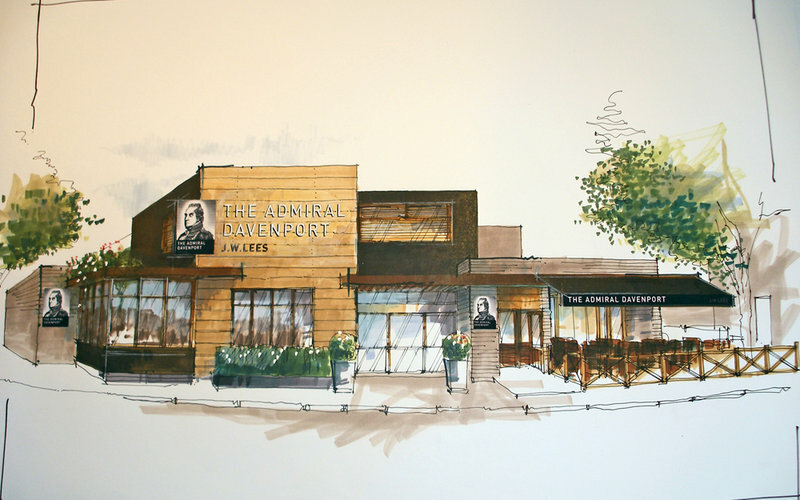 This type of artistry speaks to me much more than using CAD or SketchUP. There’s a sensitivity and personality to hand drawings that I don’t think can be achieved in using computer software. 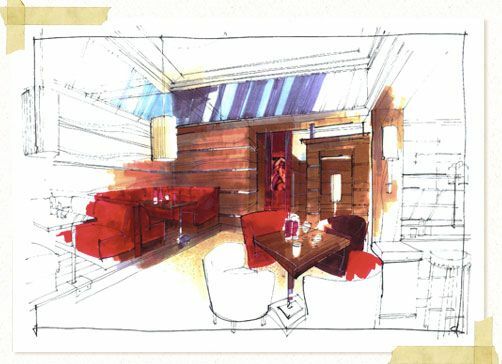 I met Manchester-based architect and former founder of A-Cube Architects, Faheem Aftab, in a bar in Chorlton last weekend and we got talking about interior design and the concept for my NMP Wellbeing Centre. He liked my concept and we discussed the feasibility of the centre in the proposed building Leaf on Portland Street. Aftab had some great insights, connections and pointed me in the direction of a women’s centre he worked on in Liverpool; The Amadudu Centre, a refuge for women and children fleeing domestic abuse, specifically black and minority ethnic groups. He also mentioned architect Maurice Shapero and his involvement in an Everton-based wellbeing centre. After researching this wellbeing centre, it became clear that although the centre wasn’t women orientated, it still held similar values to mine. Shapero states how his centre aims to “address the duality of an open community building with the introverted/confidential nature of a Doctors practice” which is similar to my concept of my centre being personable yet practical. Whilst exploring Maurice Shapero’s website, I came across his love for drawing and sketching which didn’t always relate to his profession or projects he worked on. I found this encouraging and relatable. Aftab jotted notes and contacts down as we spoke. After mentioning my intentions with my women’s centre and my interest in it also being a celebration of art and women’s creativity, he included the contact information for Chuck Gallery, a Manchester art gallery dedicated to the promotion of contemporary African art in Manchester. His enthusiasm for WOC businesses was refreshing and reminded me to ensure my building’s function and interior are welcoming and inclusive for all women. The notes are featured below.